So this year’s festival opened at Southminster United Church, about a block from the Mayfair Theatre. How was the Friday night parking? You don’t want to know. 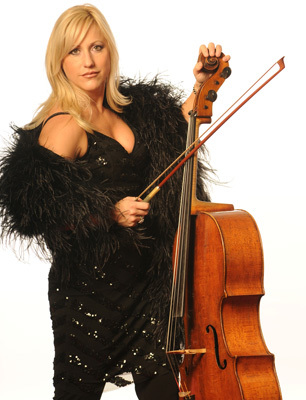 The program featured cellist Amanda Forsyth and friends and was made up of two works, Ravel’s Trio in A minor and Messiaen’s Quatuour pour la fin du temps (Quartet for the End of Time). Forsyth, violinist Jessica Linnebach and pianist Jean Desmarais did a more than credible job with the Ravel, though it would have come across better still had the acoustics of the church not been too live for this kind of music. Still, once the ear got adjusted, it was impossible not to hear the many fine features of the performance, the verve and energy of the second movement, for example, or the stately grace of the third. The Ravel Piano Trio along with that of Shostakovich virtually defined the genre for much of the last century. It’s a wonderful piece, but the Messiaen is one of the most profound and original in all of music. Clarinettist Kimball Sykes joined the other musicians for the reading. The unusual instrumentation resulted from the circumstances of its creation. Messiaen, a pianist, was in a prisoner of war camp in the early 1940s. Among his fellow prisoners were a violinist, a cellist and a clarinettist, hence the scoring. Although the work is called a quartet, not all of its eight movements are played by all four players. In fact, the third, Abîme des oiseaux, is for solo clarinet and Sykes played it with consummate grace and feeling. But then, everyone played beautifully. Forsyth’s Louange à l’Eternité de Jésus was so beautiful that it almost hurt. This is not a work that musicians undertake casually. One rarely hears a mediocre performance. Nor is it something you can half listen to. Hearing it live is one of music’s most particular pleasures.